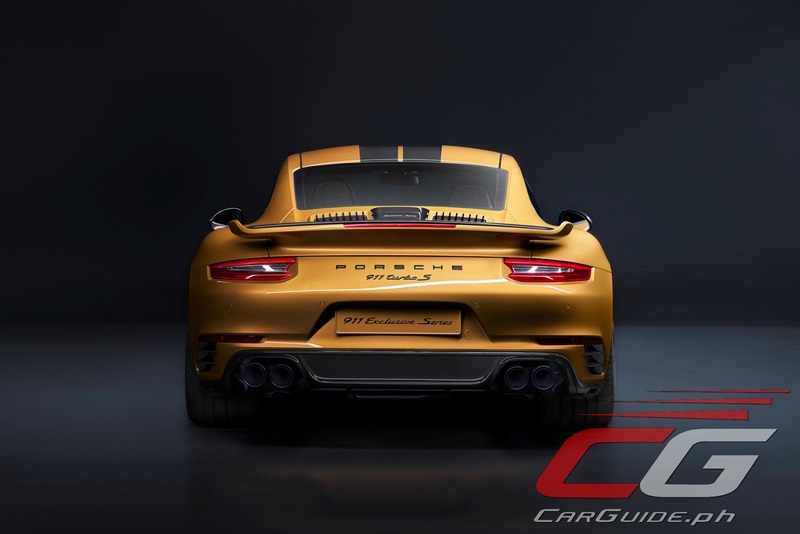 Porsche took the wraps off two new 911 models: one representing the most exclusive and one, the wildest. 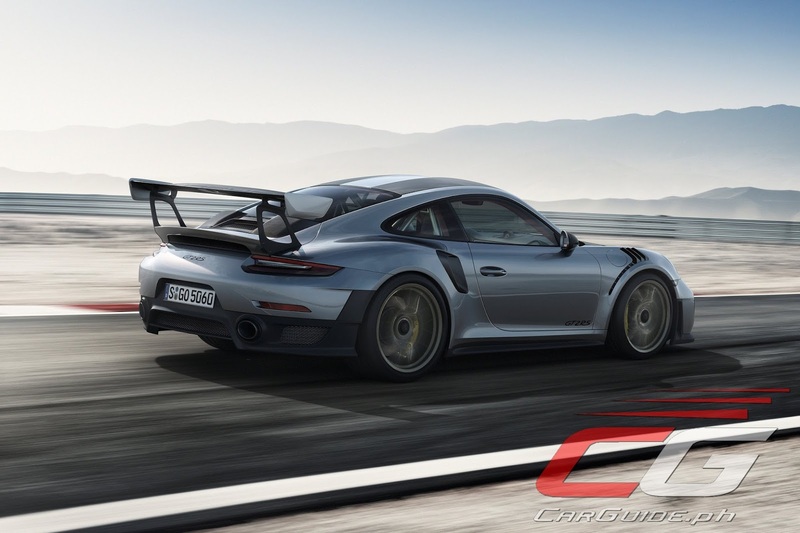 Meet the 911 Turbo S Exclusive Series and the GT2 RS. 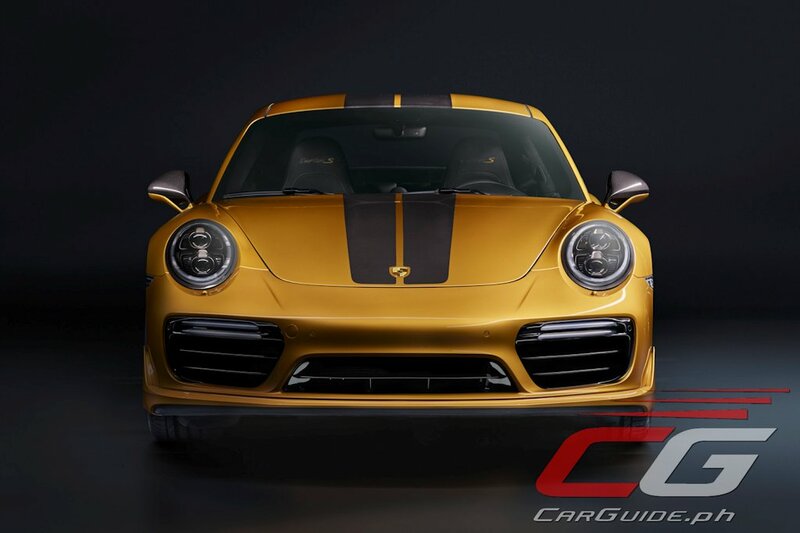 From Porsche Exclusive Manufaktur (previously known as Porsche Exclusive) comes the new 911 Turbo S Exclusive Series. 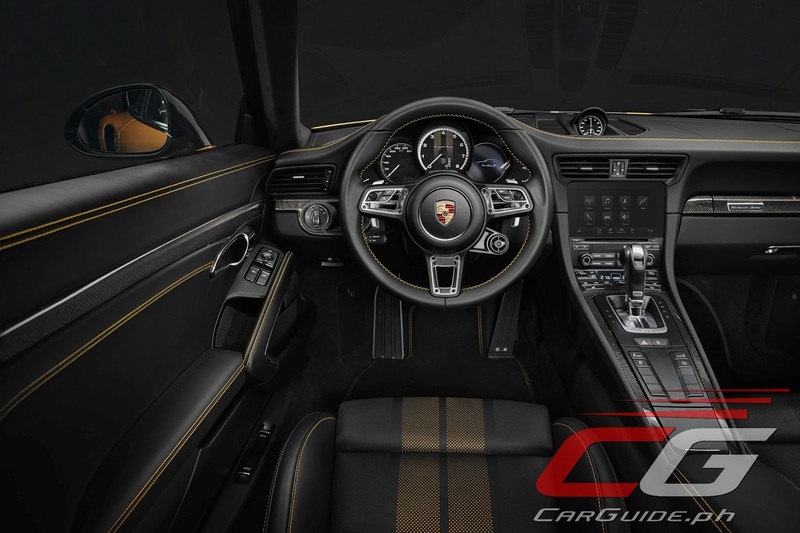 The most powerful and exclusive 911 Turbo S model ever, it’s limited to a 500-unit run. 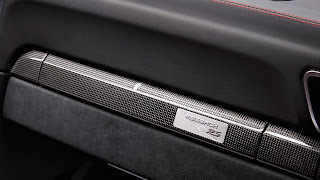 It boasts of a 27-horsepower increase for a total of 607 horsepower from its 3.8-liter 6-cylinder twin turbo engine. It can reach 100 km/h from a standstill in just 2.9 seconds and 200 km/h in just 9.6 seconds. 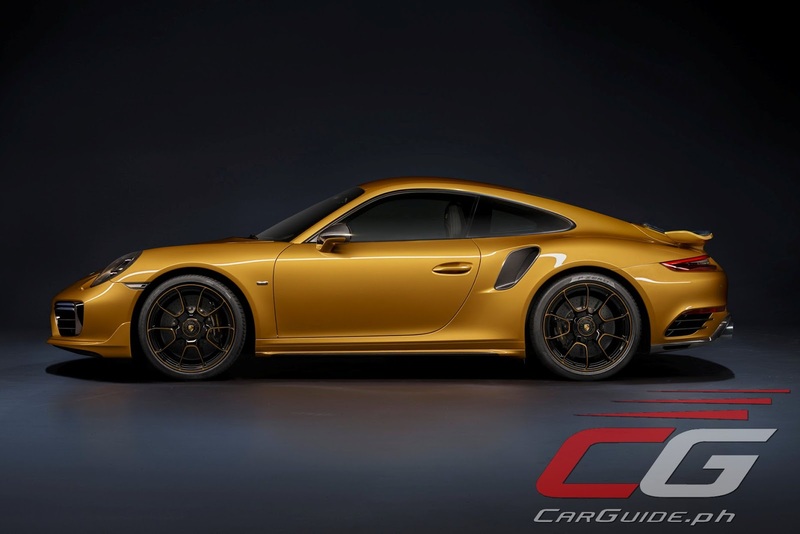 To control all that power, it has the PCCB ceramic brake system (painted in black with Golden Yellow Metallic calipers for the first time), PASM active suspension, rear-axle steering, and the PDDC dynamic chassis control system. 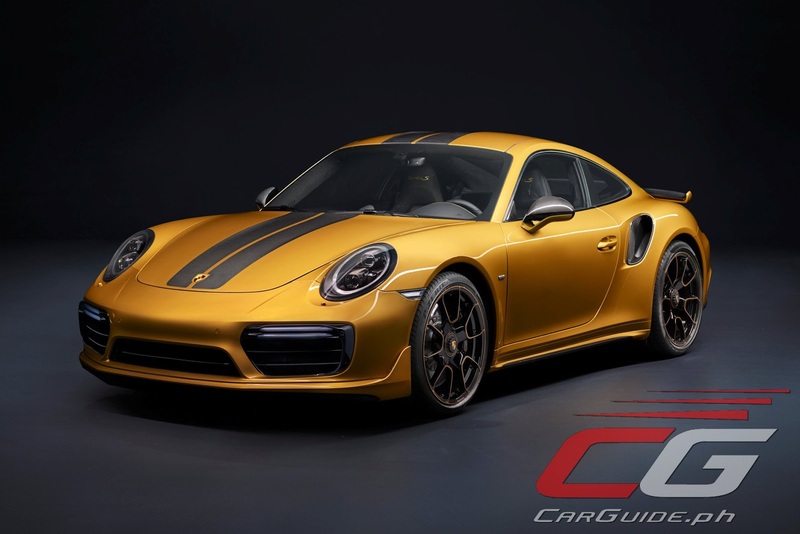 Setting the 911 Turbo S Exclusive Series apart from “regular 911 Turbo S” models, it comes in a Golden Yellow Metallic paint finish with various components such as the hood, roof, and side skirts in carbon. The rear features the Turbo Aerokit along with a new apron and a ram-air scoop in carbon. 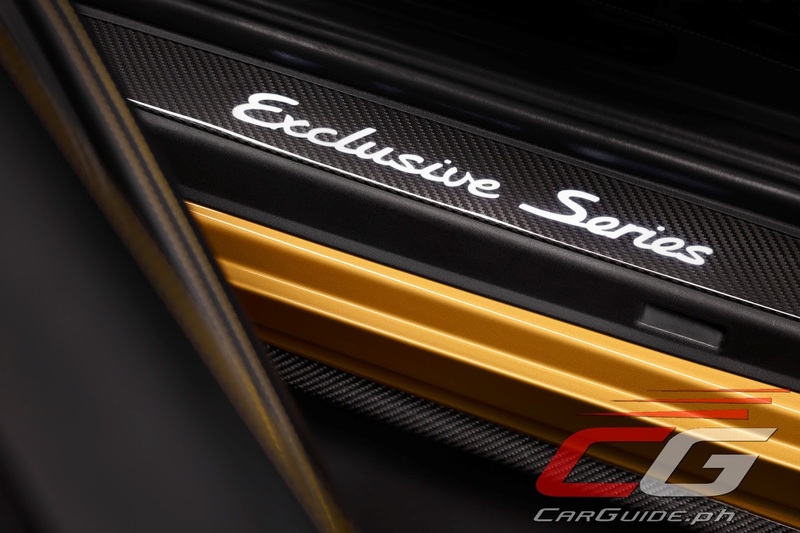 Of course, if the new yellow paint job isn’t to your taste, Porsche Exclusive Manufaktur does offer other colors. Inside, it continues with that Golden Yellow theme and you see them on the seats and even roof liner. There’s also plenty of carbon as well from the door entry guards and trim strips. And befitting of a limited edition run, it has a number plaque on the passenger’s side dashboard. 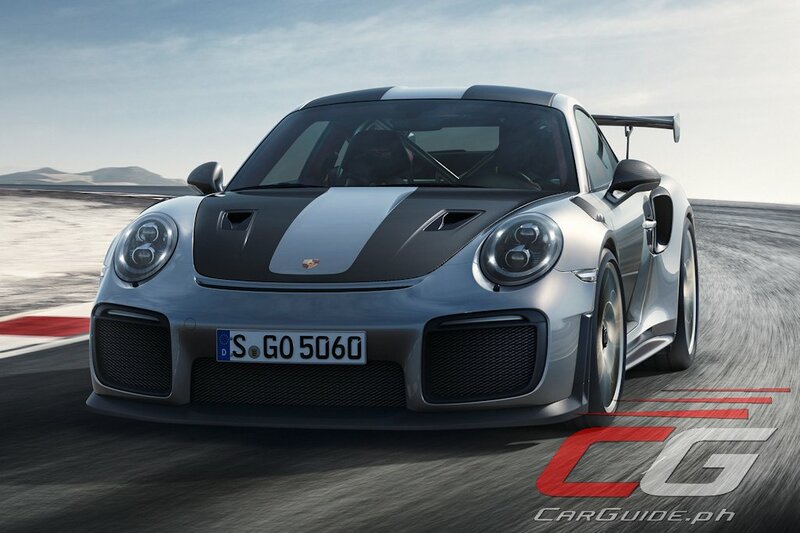 Now, for those wanting something a bit more mental, Porsche is offering its most powerful 911 yet: the GT2 RS. Utilizing the same 3.8-liter 6-cylinder engine from the 911 Turbo S, it’s been massaged to produce 700 horsepower and 750 Nm of torque—the second most powerful Porsche ever made (next to the 918 Spyder). With power going solely through the rear wheels, it does the century mark in just 2.7 seconds. Various components have been tweaked for aerodynamic efficiency, reduced weight, or both including a roof that’s now made of magnesium. 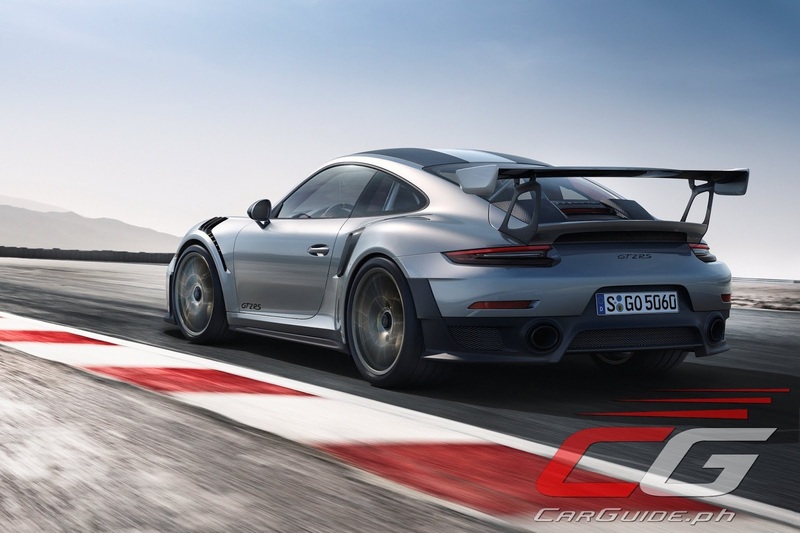 And ensuring optimal traction, the GT2 RS comes with stickier 265/35 R 20 tires upfront and 325/30 R 21 tires at the back. 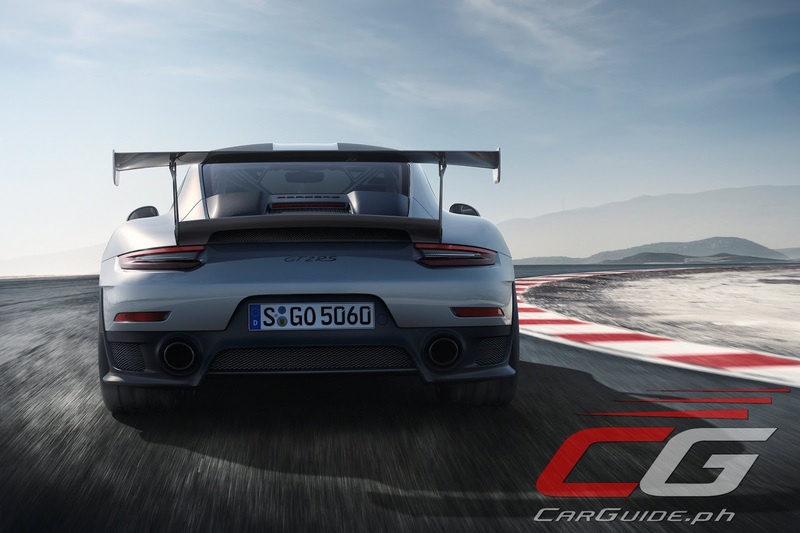 There’s also a large rear wing that adds high-speed stability. Like any other Porsche RS model, the GT2 RS has been stripped down to the bare essentials inside to shave weight. 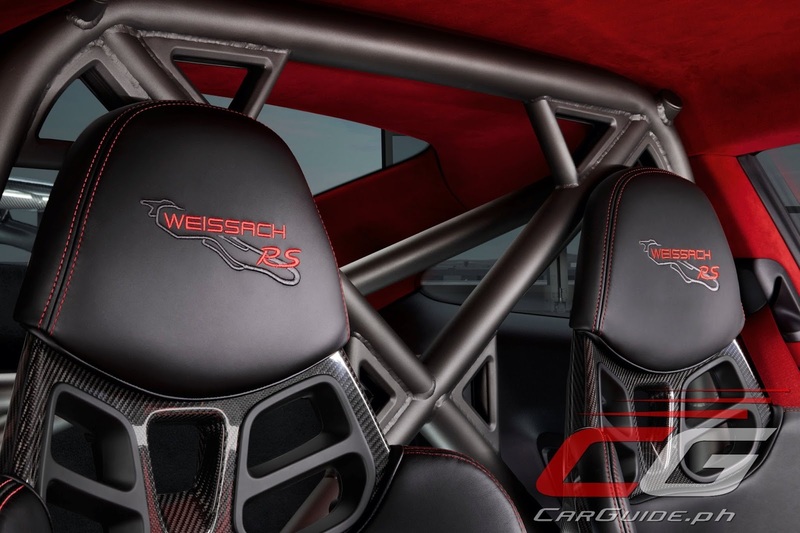 Carbon fiber pieces are found throughout while the rear seat has been swapped out for a roll cage that provides rollover protection and improved rigidity. 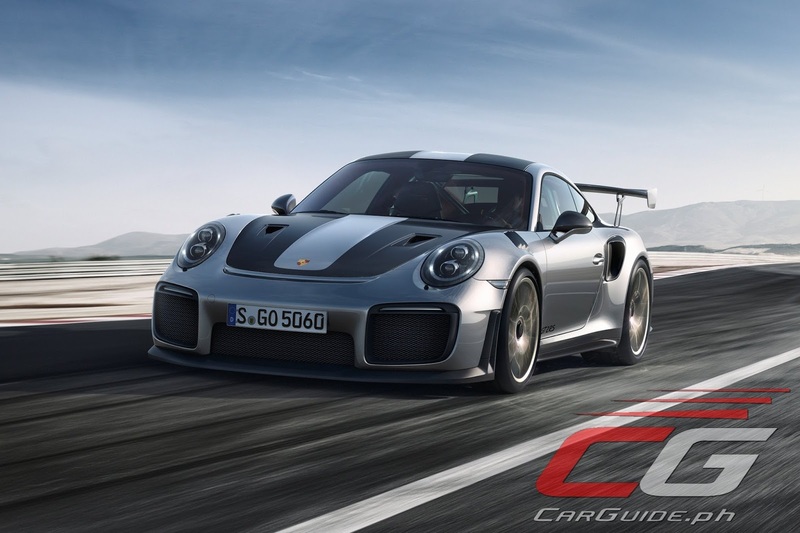 And though the GT2 RS already comes light enough, Porsche is offering a special Weissach package that shaves off a further 18 kilograms. 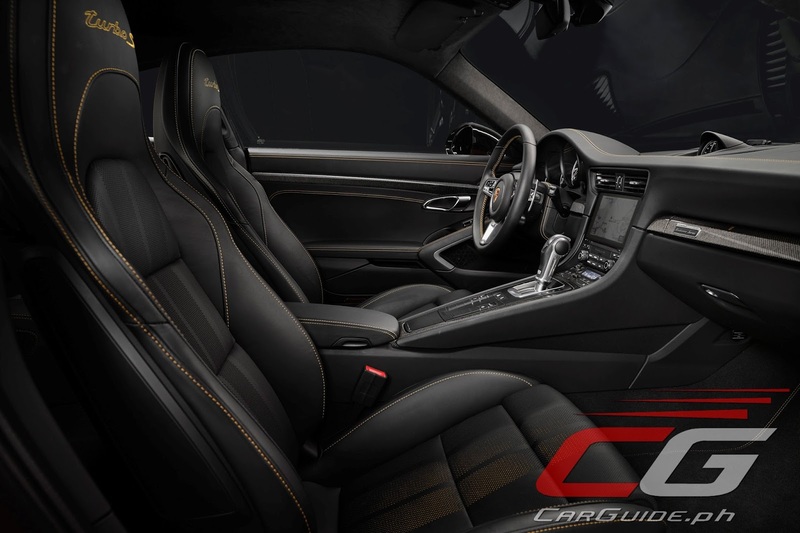 Named after the famous Porsche test track, it swaps some components to carbon fiber including the roof. The wheels are also swapped for magnesium alloys as well.